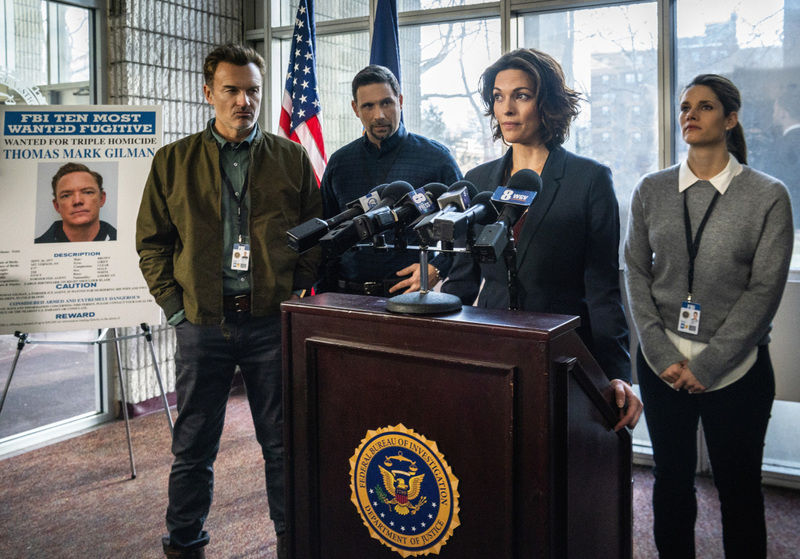 Cast: Missy Peregrym (Special Agent Maggie Bell), Zeeko Zaki (Special Agent Omar Adom “OA” Zidan), Ebonée Noel (Analyst Kristen Chazal), Jeremy Sisto (Assistant Special Agent in Charge Jubal Valentine), Sela Ward (Dana Mosier). Guest stars Include Julian McMahon as FBI Agent Jess Lacroix; Kellan Lutz as FBI Agent Crosby; Roxy Sternberg as FBI Agent Sheryll Barnes; Keisha Castle-Hughes as FBI Analyst Hana Gibson; Nathanial Arcand as FBI Agent Clinton Skye; and Alana De La Garza as Assistant Agent in Charge Isobel Castille. Written by René Balcer. Directed by Fred Berner. Air Date: Tuesday, April 2 (9:00-10:00 PM, ET/PT) on the CBS Television Network.